John Charles 26488 Embellished bodice dress. This stunning knee length dress is for those looking for a timeless, chic and modern Mother of the Bride and Groom dress. The soft crepe fabric is transformed with its pearl and embellished top bodice. John Charles 26488 Embellished bodice dress. This stunning knee length dress is for those looking for a timeless, chic and modern Mother of the Bride and Groom dress. 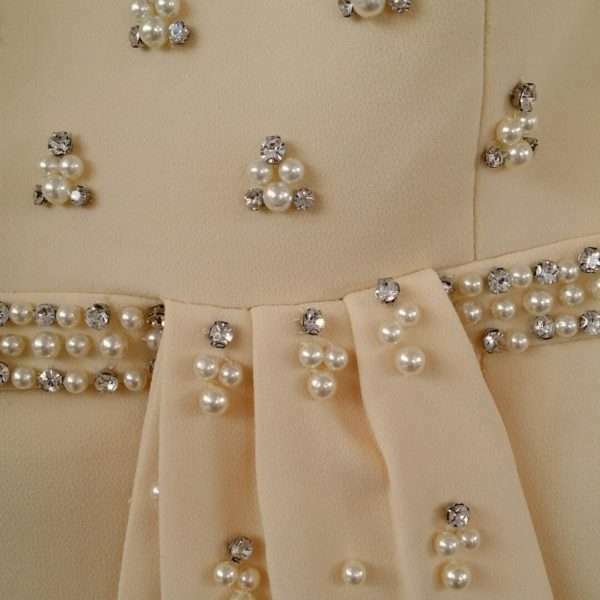 The soft crepe fabric is transformed with its pearl and embellished top bodice. The dress has a statement keyhole back and 3/4 sleeves. A perfect choice as it comes in 3 soft colours to match and compliment most any wedding palette.